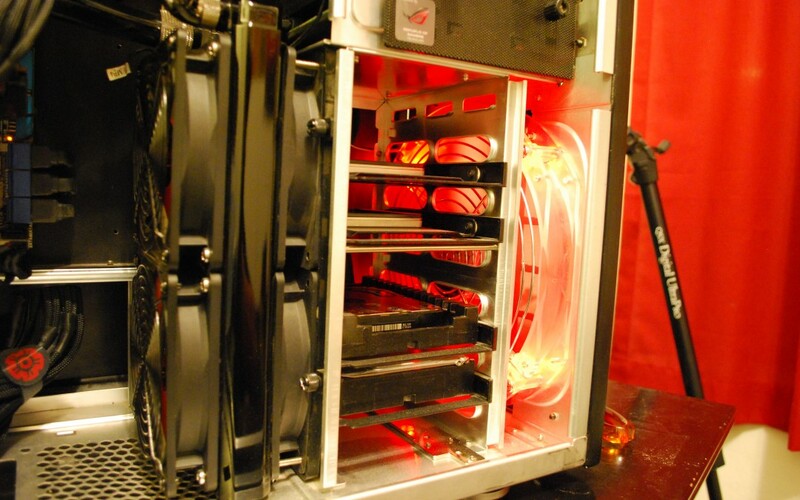 How to: Setup SSD boot drive with secondary Hard disc optimization | Business IT service by Computer Studio Inc.
11/19/14 : Looks like imageshack.us has made some changes and lost some of the pictures. I will work on re-posting pictures, and appreciate the positive response. “AppData” folder can get huge, and because this is one of the most active folders this is the best folder to move to ensure less random use of the SSD to help it extends its life. quantum tunneling is the achilles heel of SSD technology and why it has a expiration date based on hours used. in other words you can only punch so many holes in silicone. so, moving the “AppData” folder would be the biggest optimization a user can do with Windows on a SSD. Im pretty sure we all knew how to right click on the none hidden folders in the “users” folder far before this guide was ever produced, so please stay on topic. The entire “Users” folder CANNOT be moved with a right click in properties, and that includes the “AppData” (temp internet folder, etc). 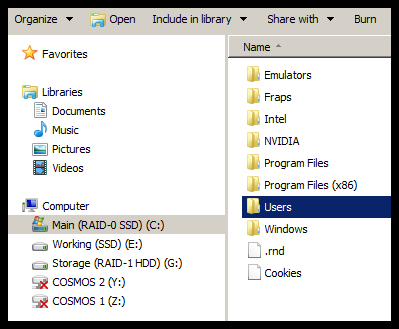 Thanks to all the posts and viewers, and hopefully this thread will continue to offer help to more people looking to move their “users” folder off of the main partition without the use of junctions. 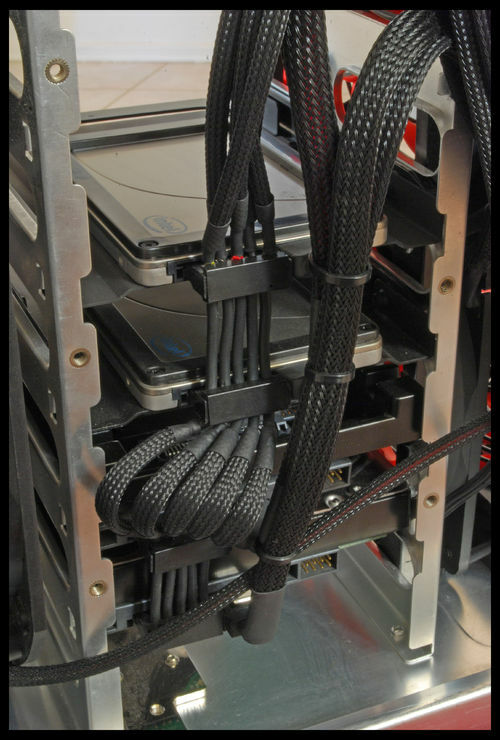 The point of this to have a primary SSD and secondary hard disc to hold all the big info. benefiting from the fast seek times a SSD has to offer. 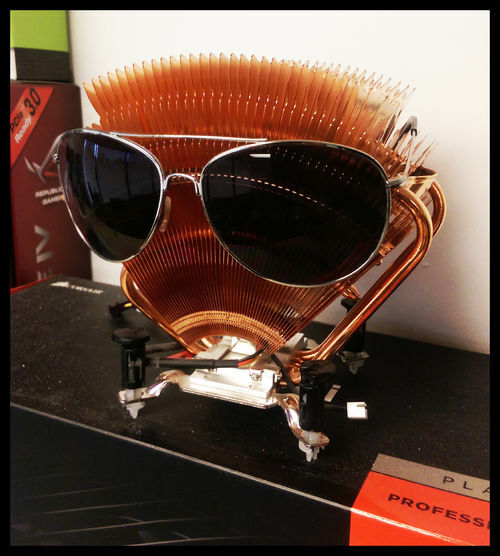 Some may like this because it keeps the SSD from being used to much. 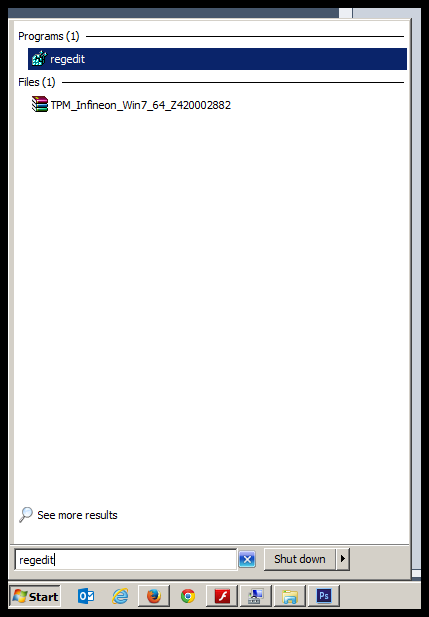 Windows 7 recognizes the SSD and makes arbitrary changes to windows to optimize for the SSD. What’s the difference between doing what you instructed in this guide compared to manually changing the file locations of the users, documents, music, downloads, etc folders over to the secondary HDD? this is the only way to move the actual “users” folder entirely over. so things like temp internet folders and outlook folder etc. 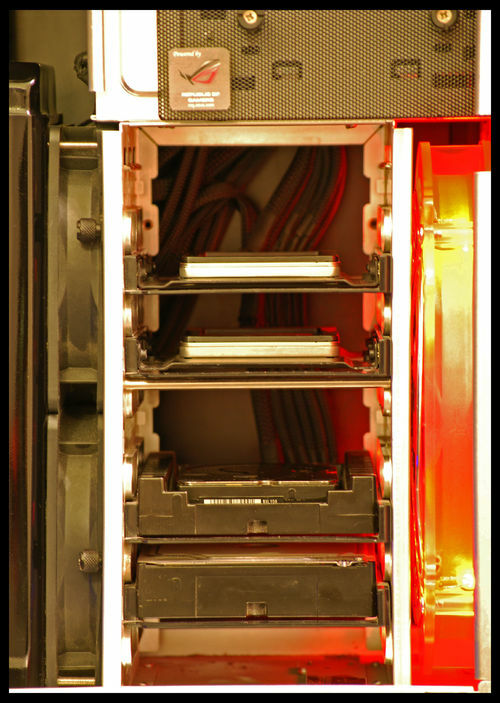 benefits are to keep the os drive very clean and predictable volume size without unknown fluctuation. This is IMO the best way to setup a small SSD as a OS drive. Obviously the USERS folder is the main concern since it can get large. there are ways to do this by setting up junctions, but this always seems to lead to file corruption. ***This mod is recommended only for users who are comfortable using all aspects of windows or looking for a cleaver trick to do the impossible reliably given Windows stubborn single partition biased. This mod assumes that not all users are novice or novice minded. That being said, this mod is translated into a very simple step by step guide that intuitively uses the most reliable and solid approach to advanced windows modification made simple. I recommend this to be done on a clean install because you will be manually changing the paths in regedit and with a clean install there is less to do. load windows. This is obviously no different then you have done before. Back up all of your data from your secondary drive and delete all partitions. The only difference in this windows install will be that when you create a user profile do not name it what you actually want. I used “Pro” for the first user name. after windows is finnished installing create a new admin profile and name it what you actually want. keep in mind that this new profile will be what you will be using as your personal profile. 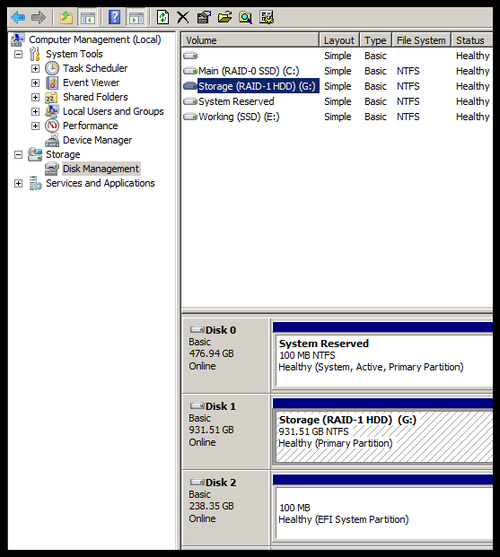 Create a primary partition on your secondary hard disc in disc manager. The users folder will be replacing the old one on the C: drive. The program file folders will make it easy when installing game and apps by simply changing the drive letter during software installation in the future. open c:\\users\\ and move the “default” folder and “public” folder to x:\\users\\ you made in step 5.
this time log into the user name you created in step 2 for the first time. 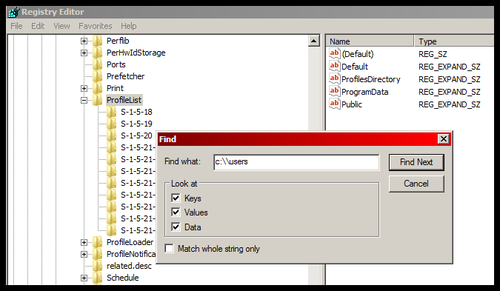 the trick is that windows will automatically setup your user profile in the users folder you created in step 5. When you log into this new account for the first time windows will look to the non primary partition we instructed it to do when we edited the registry values in step 10. 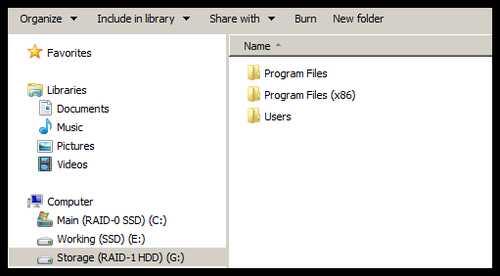 Creating the users folder in the alternate partition is simulating what windows looks for by default. do a reg search by clicking on FIND… in edit option shown below. before doing this click on “computer” folder at the top of the list on the left hand side. im not sure if this makes a difference for the search or not, but just to be safe. after the search is done it will auto highlight the first value it finds. change drive letter and user name accordingly by double clicking value name. only changes your looking for will be for C:\\Users to “X”:\\Users, and C:\\Users\\”Old Username” to “X”:\\Users\\”New Username”. press F3 to cycle through the values the search found and change the values accordingly. 2: change the drive letter in everything that pulls up when you press f3 when you do the search for c:\\users… in other words when you press f3, no matter what pulls up needs to have the drive letter changed. 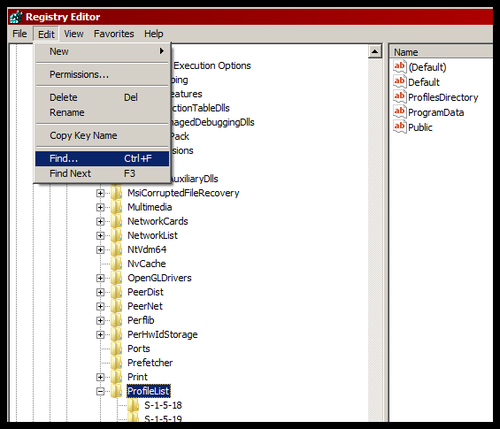 Now you can clean up a little by deleting the users folder from C:, and delete the temporary user profile created in step 1. This is very easy to do and proves that there is no need for junctions and softwares that make arbitrary changes. this ensures that everything is changed and checked. anyone trying this please feel free to ask any questions and know that you are doing this at your own risk. If you are installing programs onto another partition other than your boot drive and where your users remember that some programs can have some issues if the work out of a folder on the users folder. The solution will be to install the program on the same partition as the users folder. My setup includes a SSD (for windows and some programs), a 300gb velociraptor (for programs) and a 640gb caviar black (for the users folder). I ran into a problem with outlook when i installed it onto my raptor. since outlook works out of the users folder, outlook also likes to work with 1 partition just like windows. so i installed it onto my caviar black on the same partition as the users folder, and my problem was over. I did every last step to a T, and when I tried to login to my newly created admin profile, it says profile can not load? ?I don’t know what to do know, because I have completely changed everything and can’t seem to find the reason it won’t load? That means the default folder was not moved over properly. make sure before moving anything that you have hidden folder visible. The consequence of not moving that folder over will be that windows will not have the proper source to create a new profile. My computer is brand spankin new and I love this guide btw. I get to step 15 and it seems to be lacking any detail or im just lost. I get to that step and only a couple files pop up. I change the :C\\ to :F\\ but what do i do about the name? It says change to correct user name but idk what that means. Can anyone help me out? I think I may have had the same issue you are having and solved it.1. In step 7 you want to “Cut” the folder.2. I posted this yesterday and this solved it3. If it says “C:\\Users\\Pro” (if the first profile is Pro) you will changed it to “D:\\Users\\Jimmy” (D = my users driver, Jimmy = my profile I made earlier). And every instance you see C:\\Users change it. Well at least for me if it started with /// I changed it and had no problems. 4. Read what I quoted above and follow his Guide to the step perfectly and don’t change or add anything while your doing it, when he says restart do it, if he doesn’t say do it, don’t. The one thing I can’t 100% agree on is when to delete the C:\\Users folder, but check out what I quoted above and see if it helps you. Great guide it works perfectly. However you might want to add a little bit onto the guide. For those who dont want to manualy select the install path of all your programs, you can do a registry tweak so it will install it on your hdd instead of your ssd. It might have been mentioned before but for those who want to know anyways heres how. When I install programs on my HDD, some space on my SDD gets used. For instance, when I install a game to X:\\Program Files\\, some space on my C drive gets taken up. Is this normal, or is there a way to fix this?Thanks very much for the tutorial, it was very helpful. yes its normal, and that being said programs will intuitively use C: when needed reliably.